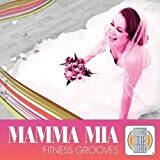 Burn that fat away to such disco hits like I Will Survive and Disco Inferno. Let Richard Simmons take you through a low-impact aerobic workout that gets you sweating as well as singing to those favorite disco oldies. 2001/color/72 min/NR/fullscreen. 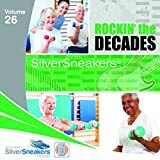 Rock your way down memory lane with SilverSneakers, vol. 26, Rockin the Decades . Kicking off the album is the 80s hard rock hit, Start Me Up made famous by The Rolling Stones. Followed up by a #1 disco track from 1979 Knock on Wood by Amii Stewart. Keep on rocking to your favorite rock anthems from the 70s to the 90s with songs like Bad Case of Loving You by Robert Palmer (1970s), Call Me by Blondie (1980s), What s Up? by 4 Non Blondes (1990s) and more. Finally, slow things down a bit with the pop rock classic I Don t Want to Wait by Paula Cole and the jazz-pop record Come Away with Me by Norah Jones. 12 tracks mixed seamlessly at 126 BPM all in 32 count phrasing, plus 2 bonus cool-down tracks totaling 63 minutes.